*Closed end lease financing available through 3/31/19 on approved credit to highly qualified customers. Offer applicable to vehicles with a model number of FC2F6KEW only. See example stock number KE202454 with corresponding VIN number of 19XFC2F62KE202454 as reference for cars that qualify for this offer. 10 cars total available at this price. Monthly lease payment based on MSRP of $21,515 and destination charges less a suggested dealer contribution resulting in an adjusted capitalized cost of $16,190.03. Net price after discounts is $17,525. No security deposit required. Excludes tax, title, license, options, and dealer fees. Amount due at signing includes first month’s payment, capitalized cost reduction, and acquisition fee. Your payment will vary based on final negotiated price. At lease end, lessee responsible for disposition fee and 15 cents/mile over 12,000 miles and excessive wear and use. See your dealer for details. I can’t find the vehicle I want with the options I want. What should I do? We understand how hard it can be to find the exact vehicle that you are looking for, and we want to help you find the new Honda that is right for you. If you are having a hard time find what you want in the Culver City Honda inventory, please use our vehicle finder service page and we can help you hunt down the car, truck, SUV, or crossover that you want. I need help working out what my monthly payments will be. Can you help me figure that out? Our payment calculator can help you figure out your monthly payments. It is very flexible, allowing you to input things like the term length, the interest rate, and your down payment or trade-in value. If you need help figuring out your vehicle’s trade-in value, try using our KBB Instant Cash Offer tool to get a redeemable trade-in offer. I have bad/no credit history. Can you help me with financing? At Culver City Honda, our finance team has a lot of experience with helping out customers with all sorts of credit history, from great credit to bad or no credit. We will work hard to help you get financing so you can buy or lease the car that you want. To get even more detailed help from our finance team, please fill out a finance application and we’ll reach out to talk with you. 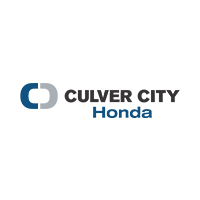 Where is Culver City Honda located? Our dealership is on Washington Boulevard in Culver City, CA, but we regularly serve customers from all around the greater Los Angeles area including Inglewood, Glendale, Santa Monica, Huntington Park, and more!